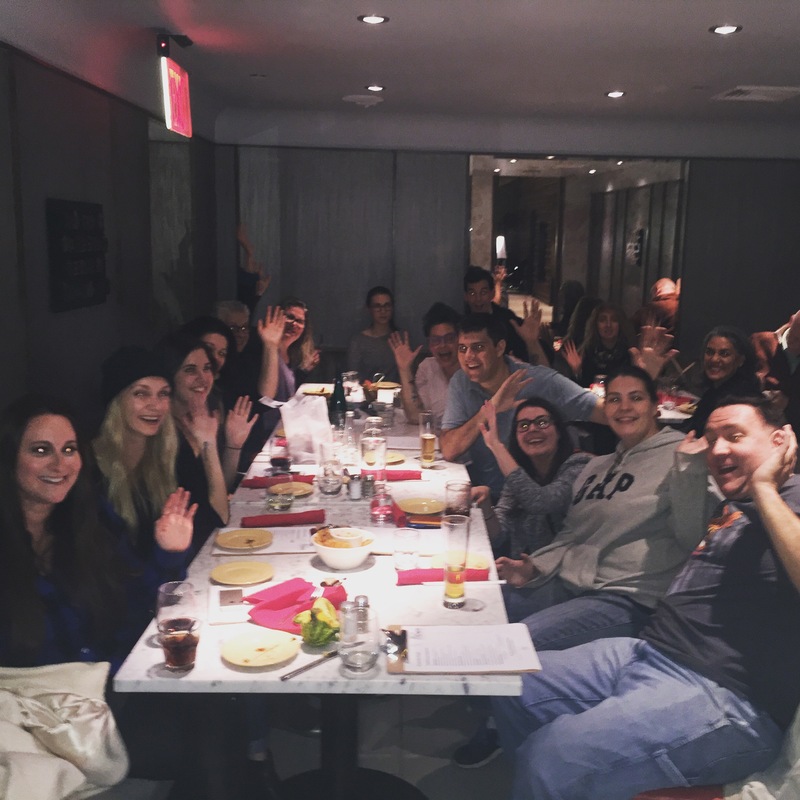 The New York City Culture with Travel meetup crew! Travel and social media inspiration go hand in hand for me. I love seeing beautiful come by, and reading posts about travels – whether people are on the road, planning their next trip, or reflecting on past travels. But, beyond social media, I love connecting people. On December 3, there was an exciting way to do that online and offline: #JACultureTrav. December 3, 2015 was very special as it marked the day of the #JACultureTrav event, where our #CultureTrav team joined forces with #JAchat for a joint #JACultureTrav extravaganza. What exactly does that entail? Well, not only did travelers exchange tips, stories and perspectives with us on the shared Twitter chat (hosted by us + the #JAchat team) on the topic of Travel Inspiration, but we were also able to finally meet some of our online friends in person. Read the #JACultureTrav Travel Inspiration chat recap via Storify! When I think about last Thursday’s events, a sense of happiness instantly comes over me. Whenever I meet a member of the #CultureTrav community, I feel as though we can connect on so many levels – through a mutual understanding of how wonderful it is to experience new cultures, to grasp the fun of learning a new language or trying a new cuisine, and to feel compelled to explore the world. While I admittedly don’t travel as much as I’d love to, I enjoy every single trip I take, and am lucky to travel at all. The #CultureTrav community allows me to interact with people who lead interesting lives full of adventure and a common passion for travel. After a successful earlier Twitter chat, I hosted the first-ever CUlture with Travel in-person meetup in New York City. Friends joined me from near and far and around NYC, and it was simply an amazing evening filled with stories, laughs, and delicious food and drinks at a great venue, The Den at The Hyatt Herald Square. Complimentary dessert from The Hyatt’s chef! The Hyatt’s management and service from Jordan and his team could not have been any more accommodating and welcoming after dealing with a last-minute cancellation from the other venue, but that’s a long story for another time. I’d highly recommend requesting the Hyatt’s cozy dining space for a private dinner party or business dinner. NYC late night meetup selfie! I’d like to personally thank all for chatting with us during our regular #CultureTrav chats but also during #JACultureTrav, and for coming out to NYC, Amsterdam and Chicago to meet us. It meant so much that people joined us online and offline, and I could easily chat to the New York meetup crew for hours on end. Let’s do it again soon, all! Thank you for an inspiring night of great conversation and lasting impressions. Last but not least, I’d like to thank my lovely co-host, Jessica (@JLipowski), and the awesome Pola Henderson (@jettingaround) and her fun #JAchat team, for collaborating on a great event! My co-host and aspiring author, Jessica Lipowski, arranged a live tweet meetup in Amsterdam at the Hoxton Hotel. It looked like a wonderful time with fellow travelers who joined the chat and then were able to continue exchanging stories offline, and you can read about Jess’s fun impressions on her site. Our friend Pola, who founded the #JAchat and JettingAround blog, hosted her own meetup that same night in Chicago and celebrated the chat’s second anniversary! I loved connecting with her face-to-face and chatting with/waving at her Chicago meetup group on a Skype video call, and hope that we’ll get to meet each other one day soon! I’m already excited to plan the next meetup in January! Stay tuned for details through the NYC Culture With Travel meetup group! Loved that you were a part of it, Kirsty!! 🙂 So glad to have met you via the chats! One day in person! Yes, would be lovely to meet you in person one day Nicolette!